The post Girl Guides & Brownies Awarded With VR Technology Badge appeared first on VRScout. We’ve written extensively about the early days of mixed reality capture and the likes of LIV have certainly made it easier than before, but the issue remains that if you don’t have the room for a dedicated filming space with a green screen, you’re probably not doing mixed reality content right now. MixCast 2.0 wants to change that. Writing articles about teaser trailers that are basically just announcements of upcoming announcements is always frustrating. I don’t know enough about the game to really dive in with details, but I’d also be doing you all (our audience) a disservice by not letting you know about what’s to come. So, yes, as the headline suggests Insomniac is working on another VR title. This will be the company’s fourth VR title after the critically-acclaimed Edge of Nowhere and The Unspoken, as well as the poorly-received Feral Rites. Pay attention to how, in the below video, not even Insomniac wants to talk about Feral Rites at all. 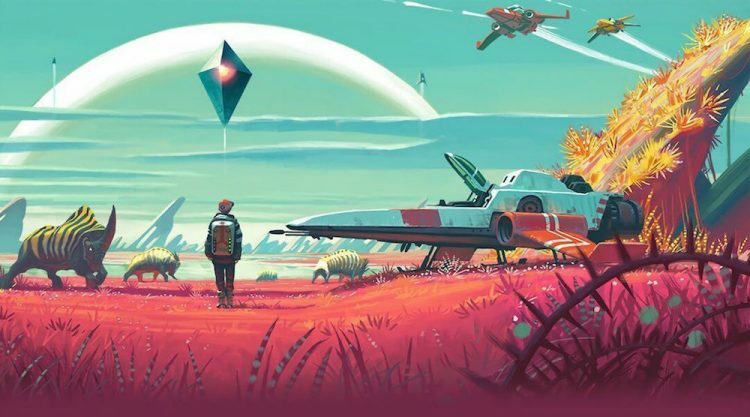 About all we’ve got to go on is that it will feature some sort of free-form locomotion system that lets players go wherever they want, according to a developer in the video. After that statement we see an office space full of people in Oculus Rift headsets reaching upwards with Touch controllers. This makes me think either some form of zero-G flight like Lone Echo and Space Junkies, or a swinging-focused game a la Windlands. Platforms have not been announced yet and no one will confirm or deny if this is a Rift exclusive, but given the tease is coming from an Oculus video I’d wager that this is in fact another Rift exclusive like Insomniac’s past three VR games. I wish I knew more, but I honestly don’t. We should be getting more details next week. I can confirm that after speaking with PR we know that this unnamed and unannounced project will not be shown at E3 and will not be releasing this year — it’s a 2019 title. So buckle up for lots of slow reveals. Google was one of the first to explore the potential of VR education with its Expeditions app, which let teachers take students on virtual field trips using the inexpensive Google Cardboard VR viewer. This week, though, Expeditions expands beyond VR and into the world of AR. Google ran a pilot program for Expeditions AR last year, which then utilized the company’s Tango platform on the Lenovo Phab 2 Pro. A lot has happened since then, though. Namely, Tango has been replaced by ARCore on Android and iOS has its own alternative in Apple’s ARKit. Both represent a much more accessible means of bringing AR to smartphones and, this week, Google launched the full version of Expeditions AR for everyone. Rather than field trips, Expeditions AR instead allows students to explore 3D models projected into the real world via a smartphone. There’s already a total of 100 AR tours covering a wide range of subjects from Geography to Biology. Students can watch volcanoes bursting to life and explore the human body with the help of a teacher guiding them through each experience. Unlike the VR component, there’s no need for a headset of any kind; the phone handles positional tracking, allowing you to walk around and lean into models. Expeditions is a free app, though you will need an ARCore or ARKit supported smartphone to use the AR features. Square Enix’s next VR experience isn’t what you’d expect, at least from a videogame company. The publisher this week released a new app that explores the world of Japenese manga in VR. Named Tales of Wedding Rings VR, the app recreates an existing comic strip in VR, giving viewers the chance to step inside the medium for the first time with a mix of moving panels and fully 3D scenes that you can explore for yourself. It features full voice acting. The story sees viewers follow Satou, a high school boy that joins his childhood friend, Hime, on an adventure into another world. In this new land, Hime becomes a princess that Satou marries, though in doing so learns he must marry four more princesses in order to defeat the Abyss King. Look, it’s manga, we didn’t write it, okay? Tales of Wedding Rings VR is now available on the Oculus Rift via Home for $19.99 and supports the English language. A HTC Vive launch should be coming next month. This is far from Square’s first experiment with VR. The company’s already published VR ports like Hitman Go and implemented optional features in games like Rise of the Tomb Raider. Last year it also released two original VR games in Monster of the Deep: Final Fantasy XV and Million sen Arthur. We’re also hoping to see some new VR content from Square at E3 in the next few weeks, so stay tuned. It’s hard to believe it’s VR’s first World Cup. Our little guy is all grown up! But will you be able to watch this year’s soccer action inside a headset? Yes, thanks to the BBC. The organization this week announced that it will be showing 33 of the Russia 2018 matches inside a free VR 2018 World Cup app. The experience will give viewers their very own virtual hospitality box to watch matches as if they were there in person. If you tire of your comfy surroundings you’ll also be able to head down to the pitch and view the action from behind either of the two goals. You can see a list of the games that BBC is set to show during the group stages here, though we don’t know which of the knockout games will be available in VR just yet. The tournament kicks off on June 14th and runs through to the final on Sunday, July 15th. That’s a lot of VR footie. The app is set to launch ‘closer to the time’ on iOS and Android. It will also be coming to Gear VR, Oculus Go and PlayStation VR (PSVR). There’s bound to be other networks in other countries showing matches in VR, though we haven’t heard anything yet. If you’d rather be playing in the world cup instead of watching it, you should also check out the upcoming update to VRFC that turns the game into Football Nation VR. Oculus Venues launched today on Go and Gear VR as a gateway to live VR entertainment such as concerts, comedy shows, sports games, and more. However, unhappy users have been quick to point out that the app requires you to link a Facebook account before you can use it. Previously, all Oculus content such as the store, Oculus Rooms, multiplayer games, and any other social space has given you optional social networking linkage, but it’s never been required — even if the opt-out feature is buried sometimes. The impetus for the decision, reportedly, appears to be a focus on accountability, safety, and ease of connection. In theory it makes sense, you’d want people to represent themselves openly and fairly in VR to ensure a safe space for everyone involved. However it’s a stickier situation than it might have been in year’s past given privacy concerns with both Oculus hardware and Facebook’s data collection. What do you think of the decision? Are you less likely to try Venues now? Let us know what you think down in the comments below! Sega Genesis Classics VR Livestream: Sonic, Streets Of Rage, And More! The Sega Genesis (or Mega Drive in the EU) is one of the all-time greatest game systems. It not only rivaled Nintendo’s empire, it even dethroned the NES and SNES for a brief period when Sega was ontop with its edgy marketing campaign and stellar lineup of 16-bit titles. This week the Sega Genesis Classics collection released on consoles and also got a major update to the PC version on Steam, which includes online multiplayer, challenges, and VR support. Now you can join us as we step backwards in time to a kid’s room ripped right out of the 90s to sit down in front of the TV like old times and play some Genesis games. We’ll be livestreaming Sega Genesis Classics VR today on PC using an HTC Vive and USB gamepad starting very soon (which means we’ll start at approximately 2:40PM PT) and aim to last for about an hour or so. We’re going to use Restream to hit both YouTube and Twitch at the same time! Attention racers: there’s more Sprint Vector goodness heading your way today. Developer Survios just launched Update 1.3 for its VR racing game, labeled the Big Bang update. Headlining the free patch is a new map named Cosmic Odyssey. As the name suggests, this is a space-set map, located in a top-secret research center that has you dodging mines as you speed down circuits. You can check it out in the trailer below. Arguably the bigger inclusion here, though, is new characters. Rockslide, who pleasingly looks like a thinner version of Korg from Thor: Ragnarok, is a sentient comet in search of a bipedal body. Necho, meanwhile, is a cat with half a machine for a body. Next up is a new leaderboard mode that includes ‘Pure Leaderboards’. These task players with getting the fastest lap times in single-player time trials without the assistance of power-ups or weapons. Competition is based purely on skill, so you’ll have to practice your speedrunning if you want to keep up. Best of all, all of this content is free thanks to sponsorship from Intel. What are you waiting for? Get racing. The post Google Expeditions AR Tours Now Available To Public appeared first on VRScout. The post Oculus Venues Arrives for Oculus Go and Gear VR appeared first on VRScout. Just a day before its long-anticipated release, Neat Corporation has delayed its VR stealth game, Budget Cuts, again. Taking to Reddit, the team’s Freya Holmér explained that the studio needed extra time to fix several bugs that it had been aware of for some time. Right now the team estimates that it may take another one to two weeks to be ready to launch the full version, though also acknowledged it may take longer. UploadVR received a review code for Budget Cuts last week but Neat Corporation explained that it was an earlier version of the game than the one planned for release, and was bound to have bugs. After playing the game for several hours, we encountered several major issues, including regular hard crashes, that prevented us from getting too far into the story. We decided not to issue a final verdict until we knew if the full consumer build would also feature these same issues. You can see our review-in-progress with initial impressions right here. In her post, Holmér cited several issues that Neat Corporation was already aware of, including “progression-blocking bugs” that had been “on our radar for a while” but were yet to be fixed. Other issues include framerate drops with the Oculus Native build of the game, which we also encountered, and problems with audio performance and occlusion culling.